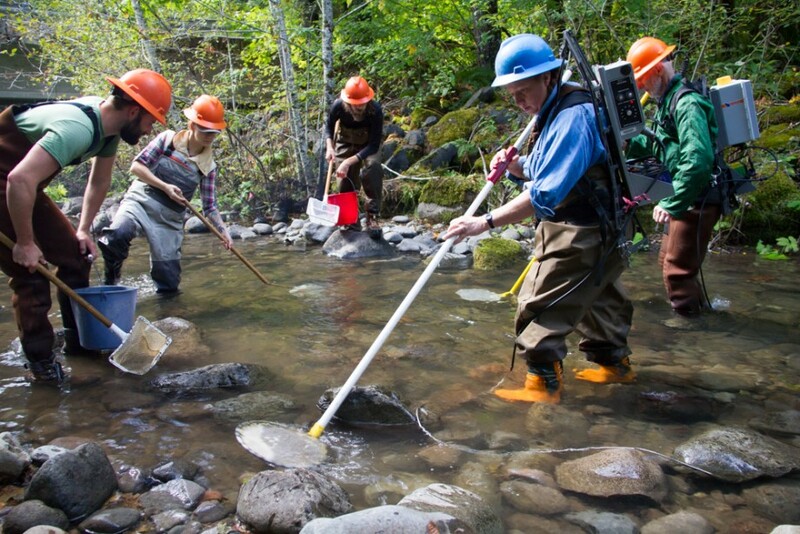 Field crew uses electroshocking to sample fish and salamanders from a stream at the HJ Andrews Experimental Forest LTER site. The fish and salamanders were measured for length and weight and then released back into the stream. Data will be used for the SCALER project.